Custom concrete fireplace surrounds are one of our specialties. We can achieve a wide range of colors and textures as well as shapes and sizes. Contact us with any questions or to receive samples. 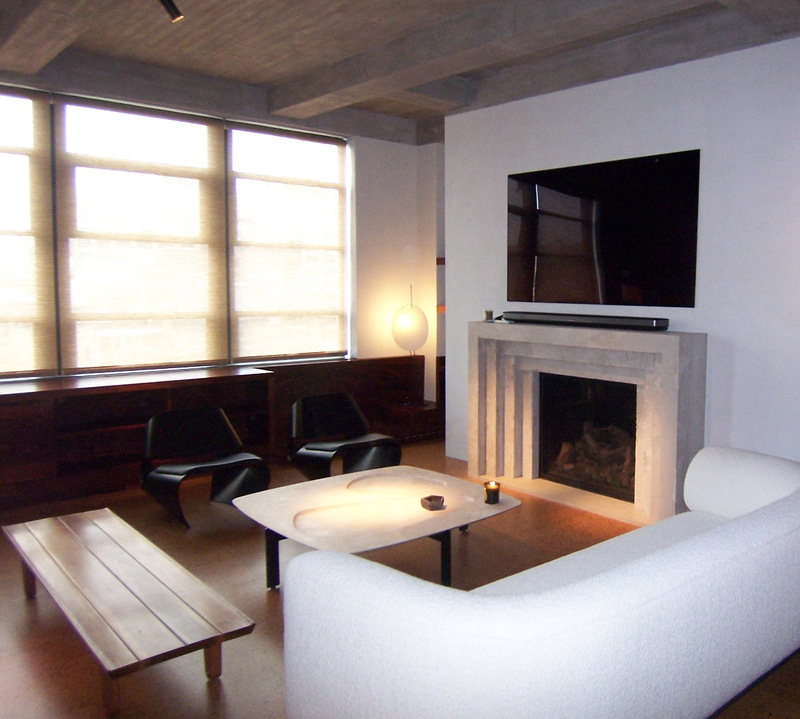 Shown here is a custom concrete fireplace for a special residential project in Soho. It was a monolithic pour of solid concrete inspired by the work of famous architect Carlo Scarpa. In order to achieve this fireplace we worked with the interior designers, architect, and general contractor to bring this vision to life. We had to work in both 2-D and 3-D computer drawing and modeling, create the mold in-house, as well as cast the concrete, seal the piece, and arrange delivery and installation. We have a great team in place to carry out all of this and we ensure prompt communication, realistic lead times, and professional installation.